Beve-RAGE | Today is your day to shine! 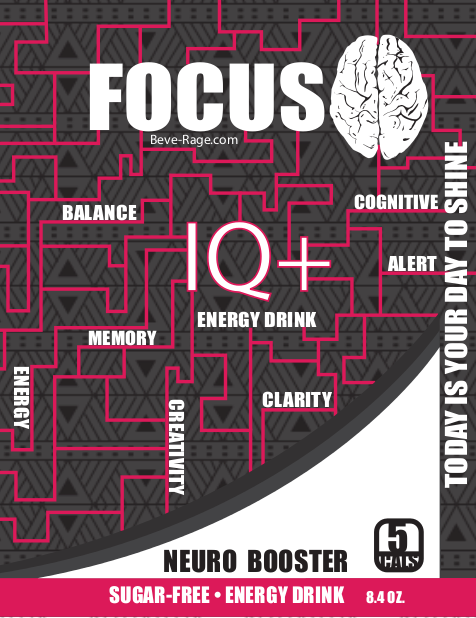 Focus IQ+ is a sugar free energy drink. IQ+ stimulates the human mind to perform faster and more efficiently while sustaining your energy levels. Focus energy drinks empower your mind. Focus products give you the competitive edge you need when playing a sport, taking a test for school, or just trying to brainstorm a new idea. Not only do Focus energy drinks supply you with strong brain function, they also supply you with the energy needed to last through a long day of hard thinking.